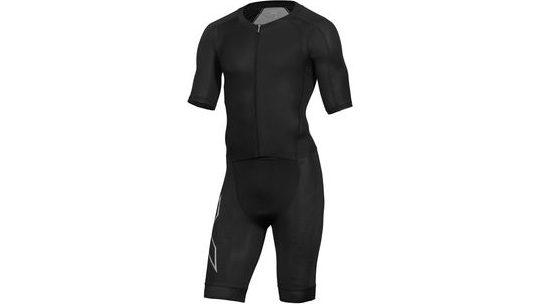 2XU have redesigned the compression full zip sleeved trisuit for the 2019 season. Created in the laboratories at the Royal Melbourne Institute of Technology (RMIT) to ensure the most advanced fabric engineering. Power mesh technology featured in the lower half of the suit has been proven to increase overall power output through stabilisation of the quadricep and hamstring muscles which in turn reduces muscle fatigue. The mesh also features dimpled airflow technology which helps to increase your speed and help with body cooling for optimal moisture management. The Pro LD chamois features a multi-layered system which absorbs as little water as possible whilst also having soft edging that reduces the pads bulkiness for run comfort. This is a high-quality trisuit and can be used for all distances of triathlon including half and full Ironman events.